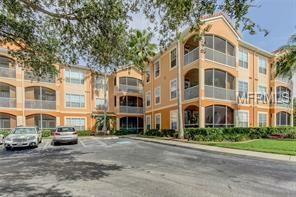 SOUTH TAMPA 1/1 condo located in a waterfront community on the open Tampa Bay! This well-maintained condo was NOT rented and is conveniently located in Building 1 with easy walkability access to its amenities. The first floor condo (no stairs or elevator needed) is accessed through an open corridor. The outdoor, private screened patio is located off the living room and can also be accessed from the master room. Take advantage of the stunning pool that overlooks the water & private boat slip docks for community members, as well as the clubhouse & gym. Furnishings in the home may be purchased (optional) at closing.